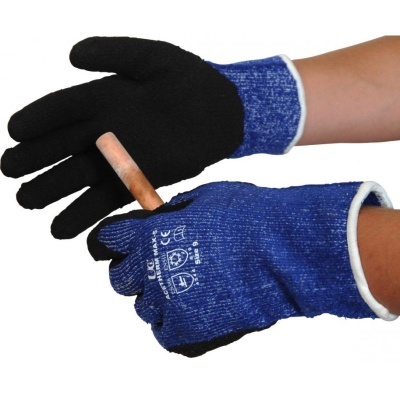 With exceptional cut resistance and great grip in cold conditions, the AceTherm Max-5 Cut Resistant Gloves are the ideal thermal gloves for general work and handling applications in cold conditions. Specially designed to retain flexibility and dexterity in colder environments, the AceTherm Gloves ensure resilience to knocks and are incredibly durable and long-lasting. The AceTherm Thermal Gloves are available in two sizes that should suit the hands of most users. Please measure the circumference of your hand around the knuckles (excluding the thumb) with your hand open and your fingers together, and the length of your hand from the tip of your middle finger to your wrist.